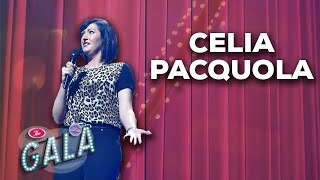 Australia's Celia Pacquola started comedy in 2006, winning the prize for best first-time entrant in the Raw Comedy open mic competition at that year's Melbourne International Comedy Festival after only a handful of gigs. The following year she performed as part of the festival's Comedy Zone showcase. In 2008 she traded in her waitressing career to write for Network Ten's Good News Week, write and perform for The Comedy Hour on ABC radio and broadcast her weekly radio show Red Hot Go on Fox FM. In 2009, she performed her first solo stand up show Am I Strange? At the 2009 Melbourne International Comedy Festival where she won The Age Critics Award for Best Australian Show. The show then transferred to Edinburgh. Her follow-up Flying Solos, played the 2010 Melbourneand Edinburgh festivals, after which she moved to the UK. However, she continues her career in her homeland, too, with one of the main parts in ABC's 2011 series, Laid. Sorry. We have no listings of forthcoming performances by Celia Pacquola.